HERE IS A FIRE DANGER STATEMENT ISSUED IN COORDINATION WITH THE DIVISION OF FORESTRY. THE FIRE DANGER TODAY IS HIGH TO VERY HIGH. DRY LEAF AND BRUSH LITTER ALONG WITH GUSTY WINDS AND LOW HUMIDITY ARE EXPECTED THIS AFTERNOON. OPEN BURNING OF ANY TYPE IS CONSIDERED EXTREMELY DANGEROUS AT THIS TIME. BE VERY CAREFUL OF HEAT AND SPARKS WHILE OPERATING ANY EQUIPMENT...AND AVOID SMOKING IN WILDLAND AREAS. 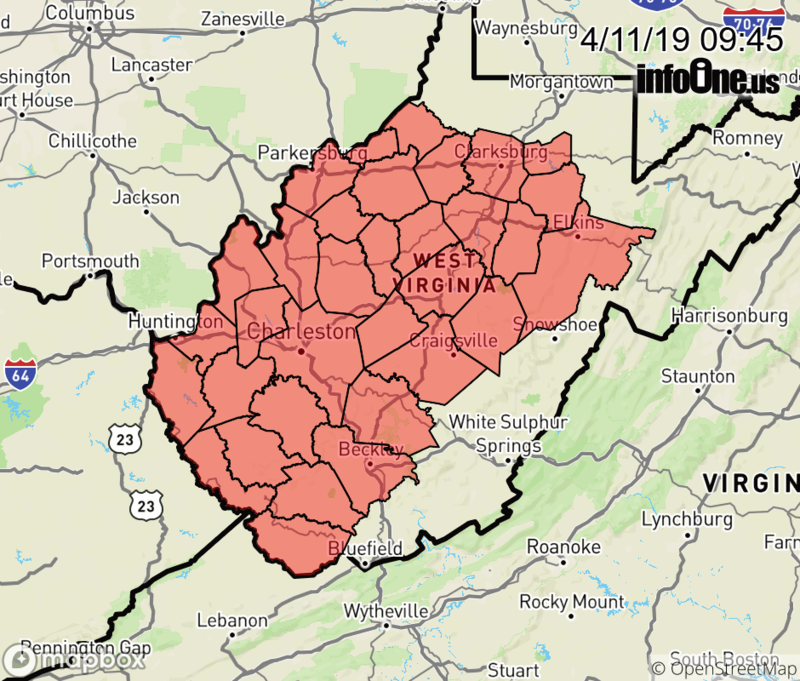 WEST VIRGINIA LAW PROHIBITS BURNING IN THE SPRING FROM 7AM TO 5PM... MARCH 1ST THROUGH MAY 31ST. FEBRUARY 15TH THROUGH APRIL 30TH. VIRGINIA LAW PROHIBITS BURNING IN THE SPRING FROM MIDNIGHT TO 4 PM... FEBRUARY 15TH THROUGH APRIL 30TH. MARCH 1ST THROUGH MAY 31ST.